The addition of Taipei means ABC has doubled its route network for customers in the region in the last two years. AirBridgeCargo also offers 747F services to and from Tokyo, Seoul, Singapore, Hanoi, Phnom Penh, Hong Kong and the Chinese cities of Shanghai, Beijing, Chengdu, Chongqing and Zhengzhou. ABC saw its volumes rise 25% ex Asia Pacific in 2016 to over 265,000 tonnes and is confident of further growth this year. The airline now operates 79 Boeing 747F departures a week from the region, giving customers fast connections via its Moscow hub to 14 online destinations in Europe and five major gateways in the U.S. 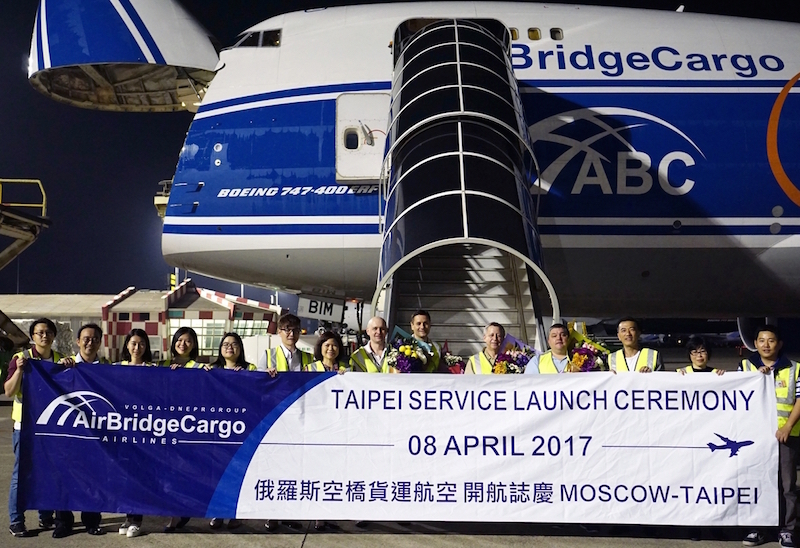 The new service to Taipei will operate from Moscow Sheremetyevo every Wednesday and Saturday, returning via Hanoi in Vietnam, and enables AirBridgeCargo to link Taipei with its network of destinations in the Middle East, Europe and the U.S. for imports and exports.